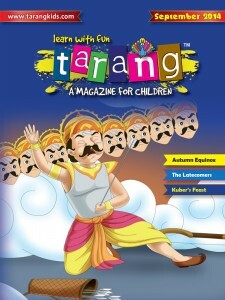 Tarang is a monthly magazine for children of Indian origin. It is full of interesting stories, Indian history, and fun-facts, with beautiful, captivating illustrations. 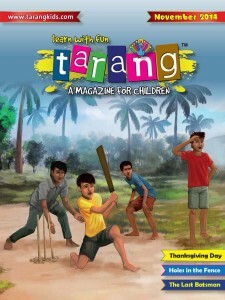 Tarang is a small attempt to combine education with values. 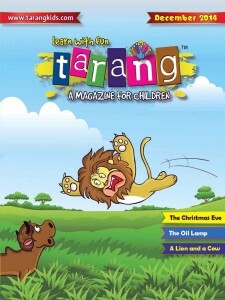 Tarang is dedicated to enhancing children's thoughts, basic skills, and creativeness. Small lessons wrapped in interesting stories will help children differentiate right from wrong and help them adapt worthy ways of living and reasoning. 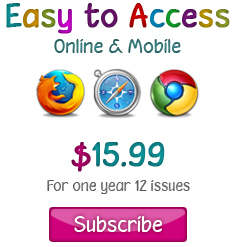 These stories will unfold many queries about their rich culture and other facts in general. © 2014 Tarang. All rights reserved.